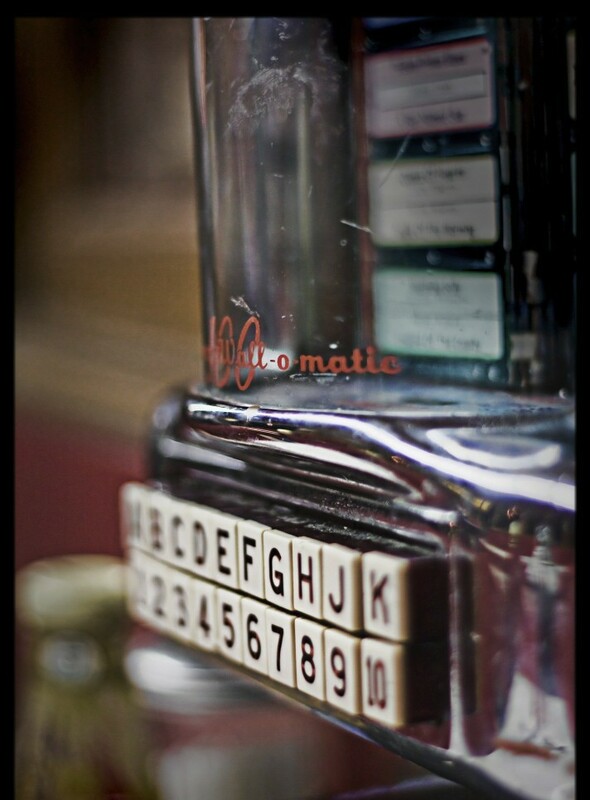 Jukebox: “They build it up just to burn it back down/the wind is blowing all the ashes around/ oh my dear god what is that horrible song they’re singing.” There is a lingering static in the background of Arcade Fire’s “Rococo,” either created by the screech of guitar strings and drums, or my imagination. A Man Came out of a Door in the Mountain has the same lingering sense of uneasiness, that something is coming but is entirely unobserved until it’s directly upon us. This is the end. This is the end. This is the end (okay, not the Seth Rogen movie). I turned the last page of Adrianne Harun’s A Man Came Out of a Door in the Mountain and those were the words going through my mind. Throughout Harun’s debut novel, there were many points where the words in front of me began to blur and condense into this four-word chant. Because this is a story about a dead-end town and people close to a dead-end. I’ve always imagined that once I finish a book and close it, the characters’ lives still go on, just unread and unobserved. I judge if an ending is successful or not on whether I can wholeheartedly believe that characters have a future they can look toward (Laini Taylor’s Daughter of Smoke and Bone trilogy, for instance). But after I put Harun’s book down, I wasn’t convinced. Actually, I was very confused. Nothing that happens in this book really assures me that anything changed after I finished the story. 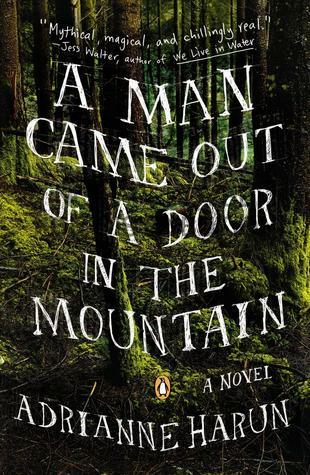 The focus of A Man Came Out of a Door in the Mountain is on five seventeen-year old best friends living in a small town in British Columbia: Leo, our Kitselas/Haisla/Polish/German narrator, Jackie, a big-boned Native girl working at the local camp kitchen, Ursie, who works at the local motel, Bryan, Ursie’s brother, and Tessa, who acts as a replacement mother for her large family. These characters are tied together by their hatred and fear of Gerald Flacker, leader of the gang who dominates the entire town with a thriving drug business, drunken brawls, and just plain intimidation. The entire story plays on the desire of the five friends, Bryan in particular, to get rid of the gang and all the trouble they bring, to finally have some power over the bad guys and also over their own futures. This desire to get rid of a villain who is plainly preventing everybody else from living a normal life strongly resembles Andre Dubus’s short story, “Killings”, in which the narrator Frank longs to avenge his murdered son by punishing the murderer once and for all (I recommend the Academy Award-winning movie based off of the short story). In both stories, the villains are regular faces around the small towns, totally unavoidable and totally untouchable, it seems. When I compare these two stories, it’s clear to me that Dubus does the better job in conveying the confusion, guilt, and moral grey area that is always present in a story that strives to justify murder. Harun has the confusion and the greyness, but it’s more like a thin haze surrounding her entire story. Every time I thought something concrete was going to happen, the description dissolved into pieces of emotions and actions. I felt like there was a missing sentence Harun was withholding from me in order to understand exactly what was going on through the characters’ minds, let alone what exactly was happening. Dubus has the same problem, namely convincing us that violence is the only way out of a problem, but he is more successful because he is smart about clueing us in on how events in Frank’s backstory influences his every inner conflict about his future actions. Simply put: Cause and Effect. With Harun’s writing, I could never find that cause and effect. Things just seemed to happen for no reason, or a character would act a certain way as if possessed by a strange entity. I want to yell: Look Sharp! For as Uncle Lud might say, the devil could find a soul mate in a burnt teaspoon and he sure as hell can choose whatever forms suit his purpose…Look Sharp! As if that might have altered every part of the day the devil first arrived to meet us–the bunch of us–in person. Harun establishes her unseen devil at the very beginning. And she continues its presence through short, periodical chapters called “The Devil Plays With a Telephone,” or “Laundry Day for the Devil.” So it’s not a secret that something unusual is happening to these kids in their dead-end town. I just think the explanation of what is happening to them is done poorly. Some people may call it magical realism, this vague influence of an anti-Deus ex machina figure, but I just call it confusing. Her laugh was a lucent bell, a golden peal I swore I saw arc and ripple in the shimmering air before its chime faded away. Her writing definitely has its shining moments. Her prose reminds me of Lindsay Hill’s stream-of-consciousness style in Sea of Hooks. And to her credit, Harun’s novel was easier to read than Sea of Hooks (that one took me 2 months, vs 2 days), perhaps because of the shorter chapters and length (349 vs 273 pgs). However lyrical her writing may be, it’s not enough to keep a fragmented plot and weak character development glued together. Ursie admired the long-necked bottles and the frostiness Albie’s old soda machine achieved, and despite the odd aftertastes, despite her inevitable preference for Diet Bubble-Up, she savored every brand and would spend several considerate minutes before the soda machine each afternoon. Sometimes she was still gazing at the machine when Bryan’s old truck with its often-loose fan belt screeched into the lot. Leo’s own struggles at home, to please his mother by finishing his online physics course and avoid going to mining college, also deserve a shoutout. When he assesses his self-worth, concluding “Yeah, it seemed to me that I was all bleak suggestion,” not only does it describe a lot of teenager’s fears of going nowhere, but it also addresses the stagnancy of the entire town. Another thing to consider is that I may have missed the entire purpose of this story. It may have flown right over my head. I was certainly left feeling like I was missing the bigger meaning. Harun states in her acknowledgments that this story “was sparked by outrage over the ongoing murders and disappearances of aboriginal women along Highway 16, the so-called Highway of Tears…The story veered into a more fanciful narrative after a dinner party discussion of good and evil.” But the plot about girls disappearing off the highway barely comes into play throughout the story. Yet I understand how difficult it is to describe a situation where not even the main characters know exactly what has taken hold of them, let alone try to portray all the shapes and forms in which good and evil manifest. A hazy novel, which for me never managed to go above a low, steady pulse of unrealized potential.